Steffen Mengel completely freaks out! Yesterday at the German League Steffen Mengel completely freaks out after losing the Match against Jakub Dyjas! 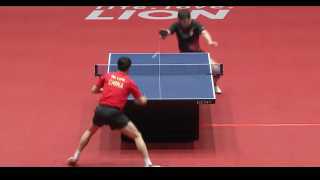 Poll: We've all done this - Table Tennis Fail! Super Crash into the barriers!